I found an article in The Telegraph entitled, “Red squirrels are fighting back against the greys, experts claim.” It implies pine martens are saving the red squirrel as well as a grey squirrel trapping program. That was introduced to reduce the grey population and give the reds a chance of survival. 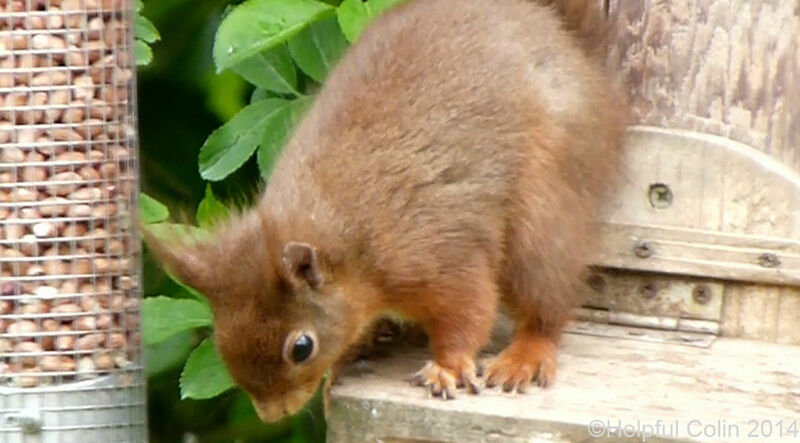 The red squirrel shown in the featured image was seen in Doxford, Northumberland. Apparently predatory pine martens are saving the red squirrel (see image above) as they are inclined to eat grey squirrels which they find nice and plump. The pine marten can catch the grey because they move slowly. This has been found in a study of red squirrels in Northern Ireland where the pine marten isn’t so rare as first thought.